Eye Candy is a beautiful Fashion Photography series by photograpy Mathew Suido. It was a commission work for one of the top magazines. 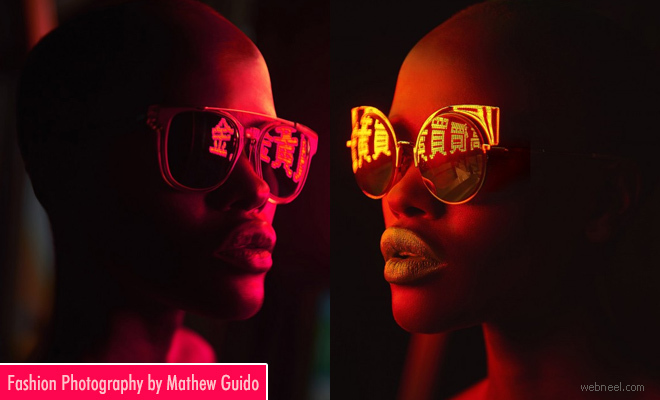 Mathew Guido is a fashion photographer from Canada. The model featuring in the beautiful Eye Candy series is Naro Lokuruka. According to his biograpy, "As a magician of light, Mathews hauntingly beautiful portraits are fearless in exploring and illustrating the complexities of human emotion. Captivated by Renaissance Art and exaggerated themes in Japanese Anime, Mathew is currently exploring portraiture creating images that tell a story and leave a memorable impression". This year he is the proud receipient of the Muse Creative awards and Applied Arts award. His fashion photography has been featured in top magazines like Schon, Dress to Kill, Vogue Italia, Lush and many more.